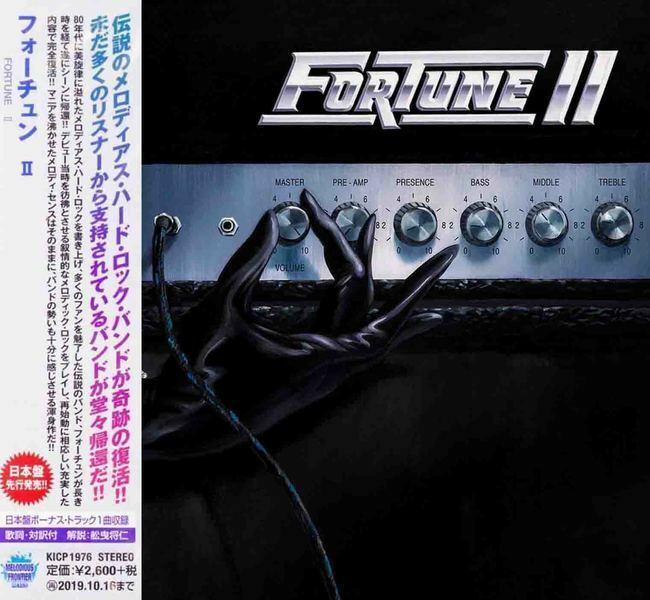 Fortune is a 1980s rock band that had a number of minor hits in the early 1980s including "Airwaves" from The Last American Virgin movie soundtrack and from their second 1985 album release including: "Stacy," "Dearborn Station," and "Thrill of it All." The Fortune Band began in the late 70's when brothers Richard Fortune on guitar and Mick Fortune on drums decided to join together and form a band. The first Fortune self-titled album was released on Warner Bros in 1978 with follow-up WB singles releases including a cover of funk group The Undisputed Truth's "Squeeze Me, Tease Me" and the original song "Saddle The Wind". 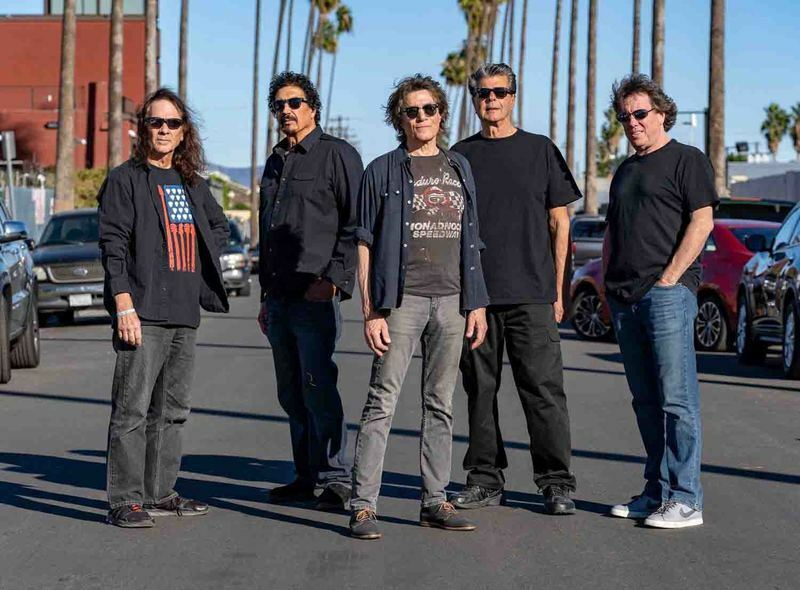 In the early 80's, keyboardist Ray Barrett and bassist David de Leon (formerly Stanley Clarke's touring support bassist) teamed up with the brothers, and the band began its move more toward the pop rock style of the time. This phase of the band capped with a show at Aloha Stadium Summer Blowout 1981, opening for Heart and Blue Oyster Cult. The band began to receive some national attention with the 1982 Columbia Records/CBS Inc. release of "Airwaves" on The Last American Virgin motion picture soundtrack. The movie is considered by many to be a cult classic of the time and the soundtrack proved to be a memorable compendium of 1980s radio hits with Fortune sharing the bill with bands such as U2, Journey, Blondie, REO Speedwagon and the Police.As Fortune began to gain momentum, the core of the band, Richard, Mick and David, decided to take their music more mainstream and that some adjustment in personnel was now necessary to move in that direction. By Fall of 1982, the band had recruited keyboardist Roger Scott Craig. Craig had formerly played with Liverpool Express, a British-based group known in Europe and South America. By end of 1982, Fortune's singer (Richard's wife, Colleen Fortune) had left the band and was replaced by vocalist Larry Greene.The band began writing all new songs, to which Roger and Larry contributed significantly. Over the next two years, Fortune spent much of their time in the studio recording demos for CBS records and performing live gigs in clubs around Los Angeles, also opening a stadium show in Hawaii. Unfortunately, the band was unable to get traction during this time and eventually disbanded in 1984. In 1985, Camel/MCA Records came on the scene and offered to release a Fortune album. The band regrouped with Bobby Birch on bass. Greene and Craig had been collaboratively songwriting and landed most of their songs on this second 1985 Fortune album. The album was released, and was believed to have achieved significant sales in Europe and Japan. During this period, Camel/MCA had under-marketed and understated album sales to the band. While well received by the public, the band itself received virtually no revenue or recognition from the album. Camel Records shortly thereafter unexpectedly declared bankruptcy for undisclosed reasons and refused to give up the masters of the album, making an album re-release almost impossible. Fortune disbanded a second time. The band regrouped again in 2006 as a power trio with original Fortune band members Richard Fortune on vocals/guitar, Mick Fortune on drums/vocals and Dave de Leon on bass/vocals. The band went back into the studio in mid-2008 to record new songs with plans in the works to release a new FORTUNE album.In 2016 it was disclosed that Fortune would appear at the three-day Rockingham 2016 melodic/hard rock festival, held in Nottingham, United Kingdom. 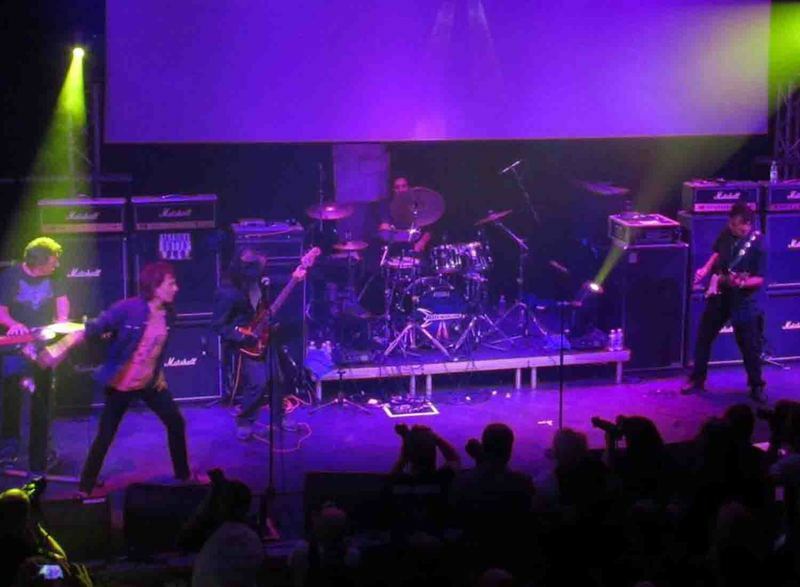 Fortune appeared on Sunday 23 October, fourth in a seven-act line-up headlined by Kevin Chalfant.In February 2017 it was announced that Fortune would appear at Rockingham Festival 2017, this to be held at Nottingham Trent University, UK, between 20 and 22 October 2017, the band scheduled to appear on Saturday 21st. Creators of one of the greatest / most revered AOR albums in history, FORTUNE are back with a new studio album after all these years, simply titled "II". The record will be released by Frontiers Music at the end of this month. Tomorrow, this advanced Japanese edition will hit the streets including a bonus track.The seeds of Fortune were planted by brothers Richard and Mick Fortune, who came from a family of professional musicians. The brothers formed Fortune in the late '70s and released a self-titled album for Warner Brothers in 1978, but by the early '80s they had revamped their group via the acquisition of keyboardist Roger Scott Craig, vocalist Larry ‘L.A.’ Greene (of Top Gun soundtrack fame), and bassist Bob Birch (who had played with Elton John).Fortune released a second self-titled album in 1985 (not to be confused with their debut!) to a warm reception, especially in Japan and Europe.It is still highly regarded by fans of the genre as being a crucial AOR / melodic rock release of the time and for many is actually considered the best AOR album ever.Camel / MCA Records (who had also launched Night Ranger and Giuffria to stardom) was the label home for the 1985 album, but unexpectedly declared bankruptcy not long after the Fortune release and refused to give up the masters of the album, rendering a reissue impossible until recently.The band subsequently remained silent for years until the Fortune brothers started the band up again as a trio in 2006, while a proper band reunion finally took place at the Rockingham Festival in Nottingham in 2016.It went so well that they returned the following year, with these shows leading to discussions with Frontiers about a new album.That album is ‘II’, and it's one of the AOR highlights of 2019 folks.With little doubt, one spin of this album will put a big smile on your face.This pure first half oo the Eighties American AOR with the quintessential ingredients from the genre: velvety vocal harmonies, lively guitar lines with soaring solos, strong beat and groove from the rhythm section, and vivid keyboards, which go beyond mere embellishment.You'll find superb arena rockers with 'Shelter Of The Night' (that keyboard driven intro worth the album alone), the Survivor-like 'Overload', the superb What A Fool I've Been' (Giuffria would be proud of it), and the atmospheric 'All The Right Moves'. 'Don’t Say You Love Me' is pure 1984 US AOR, and if you need ballads, check 'A Little Drop Of Poison' and the Jimi Jamison styled 'Heart Of Stone', both driven by a piano line but quickly swelling with riffs, synths, and drums with a guitar solo to follow.While that '80s synths are ever present, you'll discover a solo within 'The Night'. another winner with some Arc Angel on it, about two minutes in.Across the album, I was also impressed with Larry Greene's strong voice still in top form, Richard Fortune's stirring guitar solos, and the crisp clean production.Almost 35 years have passed since 'Fortune I', but this incredible band have not lost an apex of their magic. "Fortune II" is the logical continuation of that seminal LP, and captures the '80s AOR spirit like few.